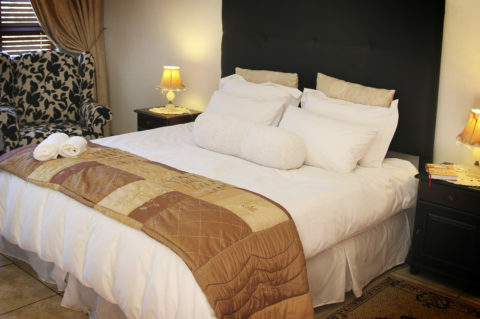 De Zoete Rust guesthouse is nestled in the tranquil Raslow, Centurion. Enjoy delicious meals in private at our beautiful pool gazebo. 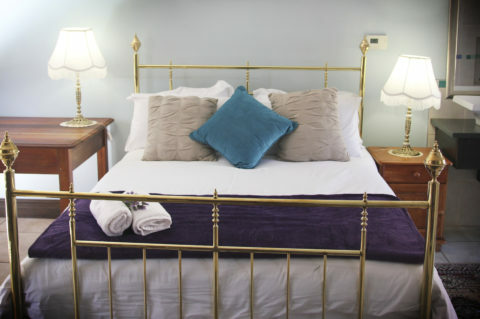 Luxury accommodation and warm hospitality to make your stay a memorable one. 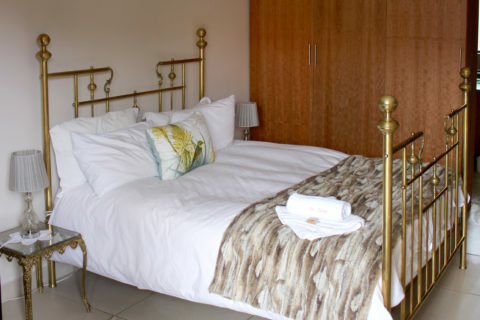 Our rooms offer exceptional space & luxury and accommodate your every need like luxury king or queen bedding, veranda doors opening onto private patios and garden facilities, 32” flat screens and ample cupboard space. De Zoeterust is the perfect accommodation for business guests. 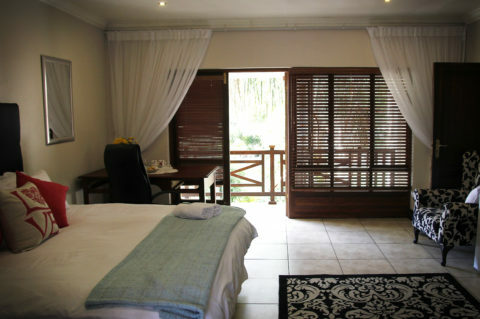 A mere 30 min drive from the Airport &Johannesburg, and 20 minutes from Pretoria & Midrand. Offering the tranquility of a family neighbourhood with the convenience of being close to city centres. De Zoeterust offers luxury 4 star accommodation and warm hospitality to make your stay a memorable one. Situated in the central area of Centurion conveniently close to airports, city centres and tourist attractions . 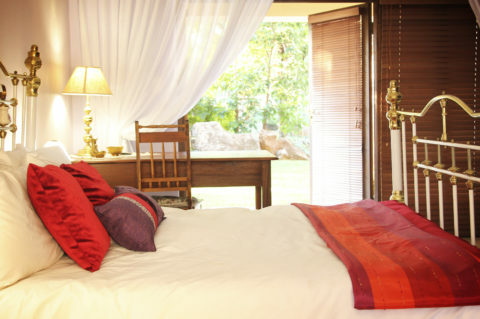 Our rooms offer exceptional space & luxury and accommodate your every need, veranda doors opening onto private patios. Conveniently situated in the central area of Centurion close to airports and city centres. Ongelooflike mooi plek met 'n lieflike atmosfeer. Gasvrou en gasheer laat mens verskriklik tuis voel. Dis baie rustig en die omgewing laat mens veilig voel. Ek sal beslis in die toekoms weer daar tuis gaan. Ek kan De Zoete Rust enige tyd aan beveel. `n Pragtige plek-vir funksies en spesiale geleenthede!!! !hou dop vir interressante opkomende geleenthede soos wyn proe aande!! De Zoete Rust, a wonderfull place te stay. Juan Wepener when it comes to dining and entertaining you rock! We had a great time. Thanks for the hospitality and a delicious Braai! Nestled in a tranquil part of Centurion, Raslouw is known for its large mansions and easy living. Situated on a hectare stand, we offer exquisite accommodation and dining in a Bali style mansion. 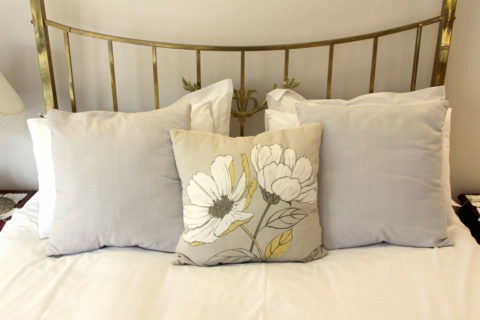 The rooms offer exceptional space & luxury and accommodate your every need like luxury king or queen bedding, veranda doors opening onto private patios and garden facilities, 32” flat screens and ample cupboard space.